Inducted into Next's Nightlife Hall Of Fame, here's a little article about yours truly and a few other old-timers of the NYC club scene. Lots of stuff I didn't know about their other inductees, too! 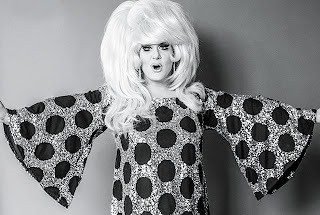 What do you need to know about Lady Bunny? Her resume reaches back into New York’s fabled club-kid era: drag queen, emcee, DJ, organizer of Wigstock, arbiter of drag dos and don’ts, blogger, cultural and political commentator. You name it, Bunny’s done it. “Without a doubt, she is the funniest, wackiest, zaniest, madcap, anything-goes drag performer ever!” says New York drag doyenne Sherry Vine.